Socially Connected, iSource & You! If you’re reading this, chances are you already know where to come to find the best in-depth, up to date Apple news, reviews, and info on the web. However, now-a-days, there are many different venues to access iSource and the posts of our talented team of writers and editors. So, when you can’t get enough of iSource, where else can you find us? iSource writers are Forum users, too! Are you a Twitter fanatic? Do you prefer to check your tweets throughout the day to keep informed with what’s going on with the sites you follow? We’ve got you covered there, too. iSource has a dedicated Twitter feed that links back to every article posted on our site, all day, everyday. Our writers love Twitter, too. Who isn’t on Facebook these days? We joined the party a short while ago, and we would love to continue to see our fans grow. So the next time you’re on Facebook, give us a look, become a fan, and take a few minutes to share a short post with our growing social family of iSource followers. Join the iSource Facebook page today! We are now on Google+ We joined the party a short while ago, and we would love to continue to see our fans grow. So the next time you’re on Google + add us to one of your Circles, share our page with friends, and feel free to post a comment or question for our staff. Make sure you check back often, because we will continue to post giveaways on the site as well. 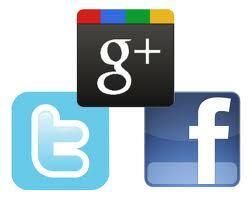 Join the iSource Google + page today! In addition to the above mentioned places to “find us” you can view videos we upload to our iSource YouTube page anytime. There are various reasons that you might need to contact us. If such a need arises, feel free to check out our “Contact Us” page for further info. All of us at iSource would like to extend a big thank you for making us your first stop for your daily Apple fix. It’s because of you, our readers that we have the opportunity to share our passion for what we do with you on a daily basis.